This question usually comes from homemakers who buy onions in bunches. If you are one of those people with no clue whatsoever about the shelf life of onions, then read on and find out. Onion is a bulb vegetable that is part of the lily family, just like garlic. Similar to garlic, onion is widely used around the world. We use it for sauteing meat, fish, and vegetables. It can be baked, steamed, or boiled. Simply put, onion is a very versatile and tasty culinary plant. Aside from being the base ingredient of countless dishes, the onion is also very nutritious. It is rich in vitamins A and C, just like jalapeno. It also has high levels of natural sugar, sodium, iron, potassium, and fiber. It is also an excellent source of folic acid, just like saffron. The answer to this isn’t as straightforward as it seems. The shelf life of onions would depend on its storage conditions. 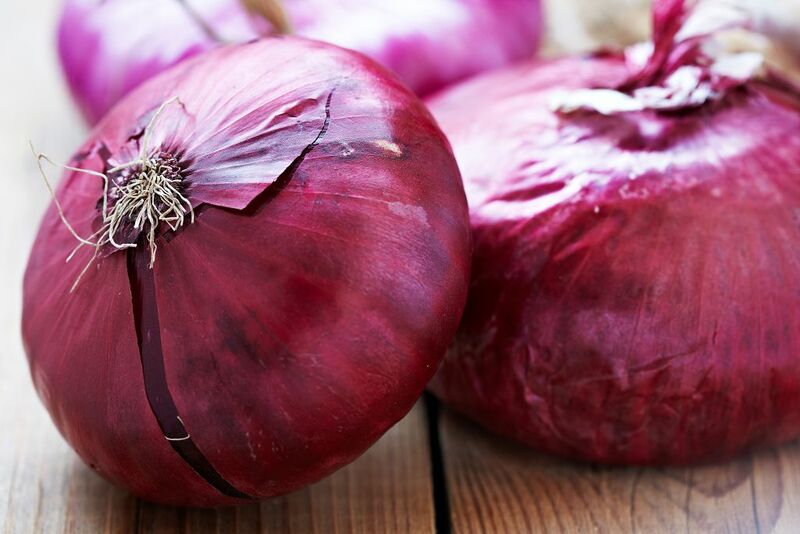 If stored in a cool, dark area, whole raw onions can last for 2-3 months. When I say cool area, the ideal temperature range is between 45 and 55 degrees Fahrenheit. That range is slightly warmer than the fridge temperature but way colder than a normal room temperature. 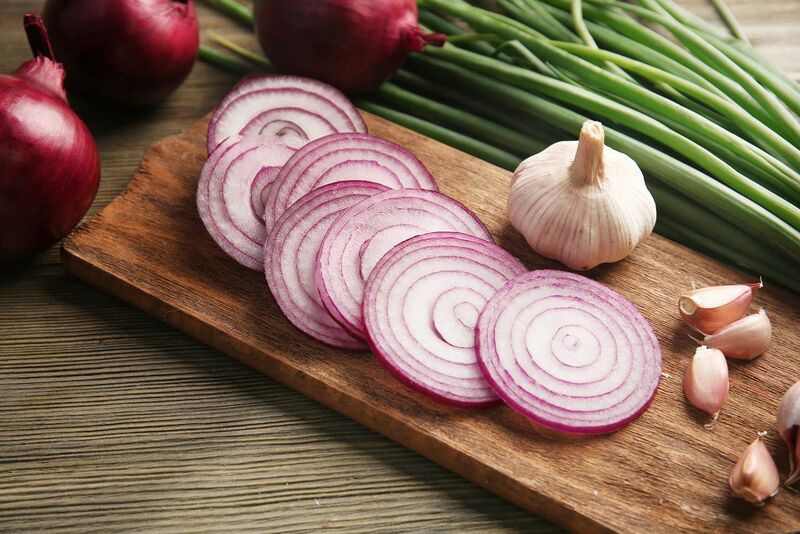 When stored in the fridge, whole raw onions can last for 1 to 2 months. But if you store chopped or sliced onions on the refrigerator, the shelf life is shorter-- about 7 to 10 days. The storage life is longer if the onions are stored in an airtight container then put in the fridge. What’s about cooked onions? Can you put them in the fridge to last for days? 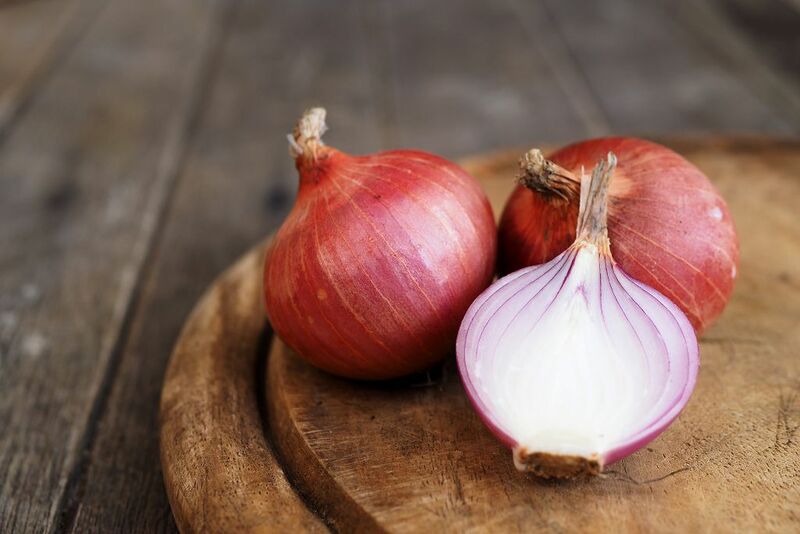 The answer is yes--- cooked onions can be safe to consume up to 5 days when you place them in the fridge. The shelf life even becomes longer when you put the cooked onions in the freezer. These versatile bulb vegetables will last for 12 months when stored in the freezer. You can freeze raw onions by peeling then slicing or chopping them. Put the onions in a heavy duty freezer bag, or wrap it in an aluminum foil. You should never store onions in plastic bags, unless you want it to decay fast. The lack of air in a plastic bag will cause the onion to deteriorate quickly. If you are to store onions in the fridge, make sure you don’t place them near potatoes. The moisture and ethylene gas from onions can spoil potatoes quickly. Determining if an onion is bad or still safe to use is easy. You simply have to check its appearance, smell it, and examine its texture. 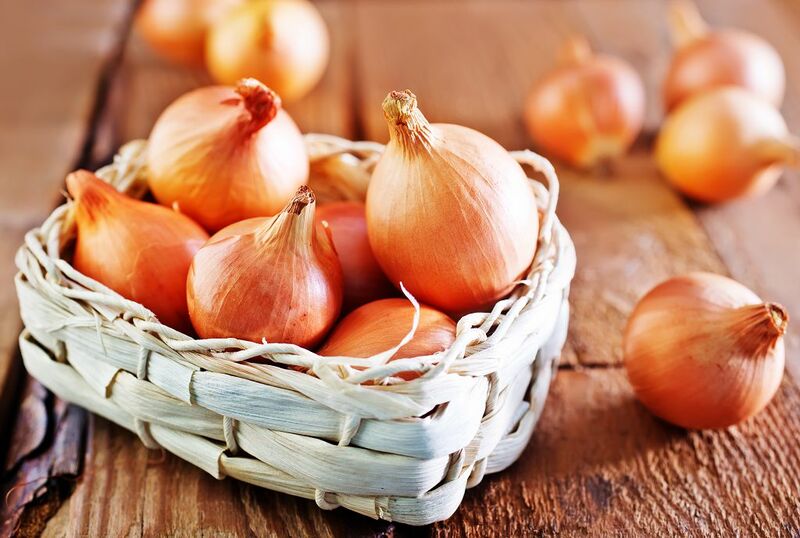 Bad onions have signs of decay like dark spots and sprouting. An onion is still safe to use if it looks clean and firm. It should also retain its original color, without any black or brown spots or discoloration. If you are still unsure of the state of the onion, touch it. The texture of the vegetable should be smooth. It should also feel firm when you hold it. There should be no soft spots in the onion. Finally, smell the onion. I know that onion has a distinct smell. But if you can smell a foul odor coming from it, then you should immediately discard the bulb vegetable. The good news is that you can still make use of bad onions. Yes, that’s right. You don’t have to throw a bad onion as long as you know how to salvage it. You can do so by cutting off the discolored part of the onion. Remember that like all vegetables, onions are made of separated cells. This means that the entire bulb won’t be affected if a group of cells is decayed. Once you have cut off the discolored portion, soak the onion in ice water for 15 minutes. This should refresh the onion and make it still safe to use. I can't imagine a kitchen or ref without a bunch or even a single onion bulb. That’s how much valuable it is. 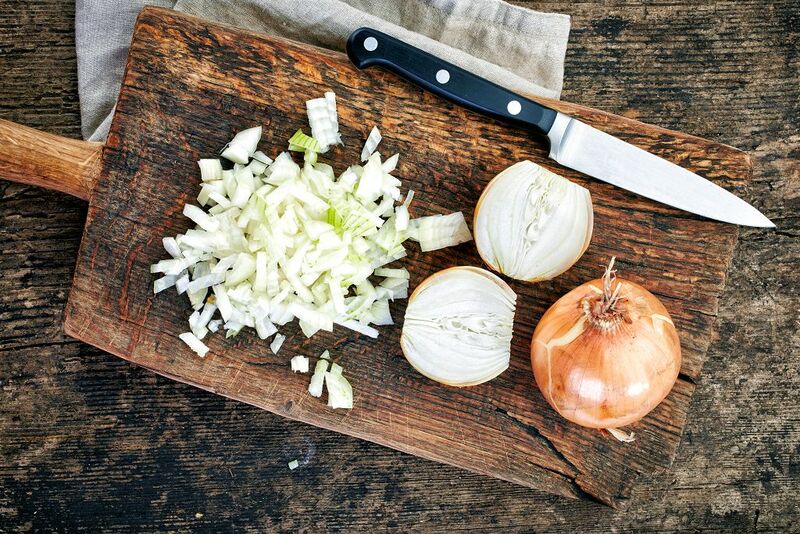 From making meatloaf to sauteeing, you will need onion at some point. This only emphasizes the need to properly store onions. If you store it in a cool and dark place, you can extend its shelf life. The same goes if you put it in the fridge and the freezer. You can tell that an onion isn’t safe to use by checking its appearance, texture, and smell. But even if a part of it has started to decay, you can still salvage a bad onion. Did you like this article? Share it on your social media accounts. I’m certain your friends will find this article very useful, too.